From above, you might mistake the hole in the ground for a gigantic elevator shaft. Instead, it leads to an experiment that might reveal why matter didn’t disappear in a puff of radiation shortly after the Big Bang. I’m at the Japan Proton Accelerator Research Complex, or J-PARC — a remote and well-guarded government facility in Tokai, about an hour’s train ride north of Tokyo. The experiment here, called T2K (for Tokai-to-Kamioka) produces a beam of the subatomic particles called neutrinos. The beam travels through 295 kilometers of rock to the Super-Kamiokande (Super-K) detector, a gigantic pit buried 1 kilometer underground and filled with 50,000 tons (about 13 million gallons) of ultrapure water. During the journey, some of the neutrinos will morph from one “flavor” into another. In this ongoing experiment, the first results of which were reported last year, scientists at T2K are studying the way these neutrinos flip in an effort to explain the predominance of matter over antimatter in the universe. During my visit, physicists explained to me that an additional year’s worth of data was in, and that the results are encouraging. According to the Standard Model of particle physics, every particle has a mirror-image particle that carries the opposite electrical charge — an antimatter particle. When matter and antimatter particles collide, they annihilate in a flash of radiation. Yet scientists believe that the Big Bang should have produced equal amounts of matter and antimatter, which would imply that everything should have vanished fairly quickly. But it didn’t. A very small fraction of the original matter survived and went on to form the known universe. Last year, the T2K collaboration announced the first evidence that neutrinos might break CP symmetry, thus potentially explaining why the universe is filled with matter. “If there is CP violation in the neutrino sector, then this could easily account for the matter-antimatter difference,” said Adrian Bevan, a particle physicist at Queen Mary University of London. Researchers check for CP violations by studying differences between the behavior of matter and antimatter. In the case of neutrinos, the T2K scientists explore how neutrinos and antineutrinos oscillate, or change, as the particles make their way to the Super-K detector. In 2016, 32 muon neutrinos changed to electron neutrinos on their way to Super-K. When the researchers sent muon antineutrinos, only four became electron antineutrinos. 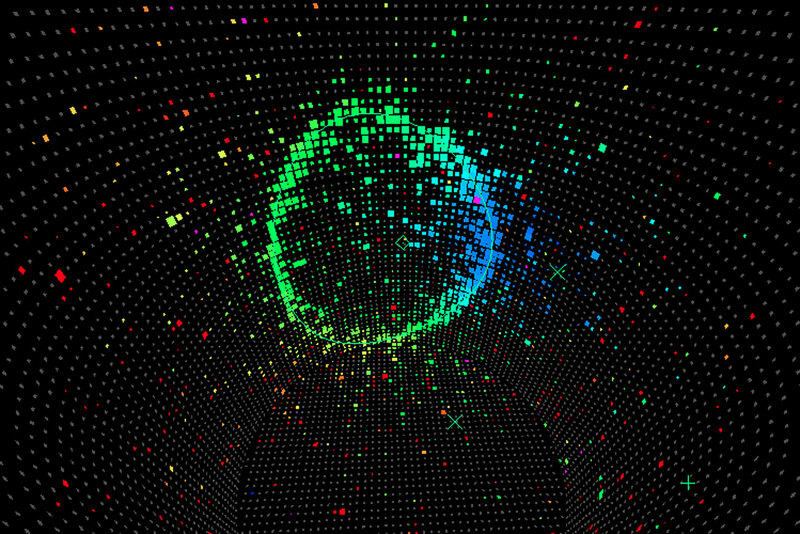 This year, researchers collected nearly twice the amount of neutrino data as last year. Super-K captured 89 electron neutrinos, significantly more than the 67 it should have found if there was no CP violation. And the experiment spotted only seven electron antineutrinos, two fewer than expected. Researchers aren’t claiming a discovery just yet. Because there are still so few data points, “there’s still a 1-in-20 chance it’s just a statistical fluke and there isn’t even any violation of CP symmetry,” said Phillip Litchfield, a physicist at Imperial College London. For the results to become truly significant, he added, the experiment needs to get down to about a 3-in-1000 chance, which researchers hope to reach by the mid-2020s. But the improvement on last year’s data, while modest, is “in a very interesting direction,” said Tom Browder, a physicist at the University of Hawaii. The hints of new physics haven’t yet gone away, as we might expect them to do if the initial results were due to chance. Results are also trickling in from another experiment, the 810-kilometer-long NOvA at the Fermi National Accelerator Laboratory outside Chicago. Last year it released its first set of neutrino data, with antineutrino results expected next summer. And although these first CP-violation results will also not be statistically significant, if the NOvA and T2K experiments agree, “the consistency of all these early hints” will be intriguing, said Mark Messier, a physicist at Indiana University. A planned upgrade of the Super-K detector might give the researchers a boost. Next summer, the detector will be drained for the first time in over a decade, then filled again with ultrapure water. This water will be mixed with gadolinium sulfate, a type of salt that should make the instrument much more sensitive to electron antineutrinos. “The gadolinium doping will make the electron antineutrino interaction easily detectable,” said Browder. That is, the salt will help the researchers to separate antineutrino interactions from neutrino interactions, improving their ability to search for CP violations.